Hailed as "incandescent," "magnificent," and "a literary miracle" (Entertainment Weekly), hundreds of thousands of readers were enthralled by Marilynne Robinson's Gilead. Now Robinson returns with a brilliantly imagined retelling of the prodigal son parable, set at the same moment and in the same Iowa town as Gilead. The Reverend Boughton's hell-raising son, Jack, has come home after twenty years away. Artful and devious in his youth, now an alcoholic carrying two decades worth of secrets, he is perpetually at odds with his traditionalist father, though he remains his most beloved child. As Jack tries to make peace with his father, he begins to forge an intense bond with his sister Glory, herself returning home with a broken heart and turbulent past. Home is a luminous and healing book about families, family secrets, and faith from one of America's most beloved and acclaimed authors. 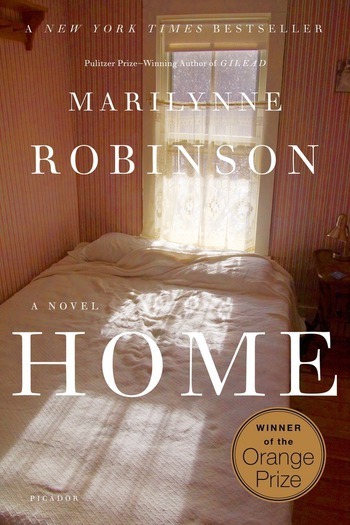 MARILYNNE ROBINSON is the author of the novels Gilead, Housekeeping, and two books of nonfiction, Mother Country and The Death of Adam. She teaches at the University of Iowa Writers' Workshop.